ALHS candidates also need to be members of the Luxury Home Council. A one-year membership to the Luxury Home Council is included with the ALHS course. After passing the course, your next task will be to complete the Achievement Verification Statement (AVS). The statement requires all ALHS candidates to practice their new skills by closing on two transactions where the purchase price is at least two times the average sales price in the candidate's real estate market. The closings must be within 24 months of finishing the course or at any time prior to completing the ALHS course. Once you use your luxury home training to complete this requirement, and your managing broker confirms your accomplishment on the Achievement Verification Statement (AVS), you will earn the Accredited Luxury Home Specialist designation. 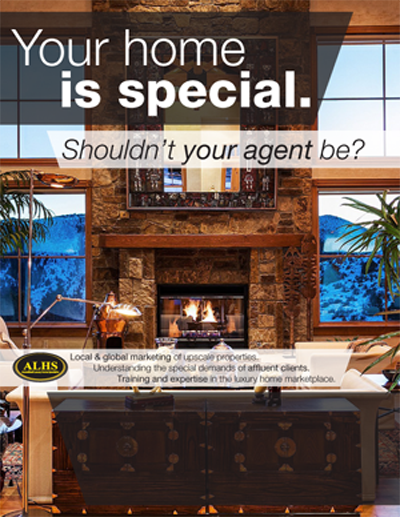 As a member of the Luxury Home Council, you will receive numerous benefits that will continue long after you have obtained the ALHS designation. To display the ALHS designation logo, students must maintain their membership in the Luxury Home Council. Over 5,000 Real Estate Professionals have earned their Accredited Luxury Home Specialist Designation in the United State and Canada. 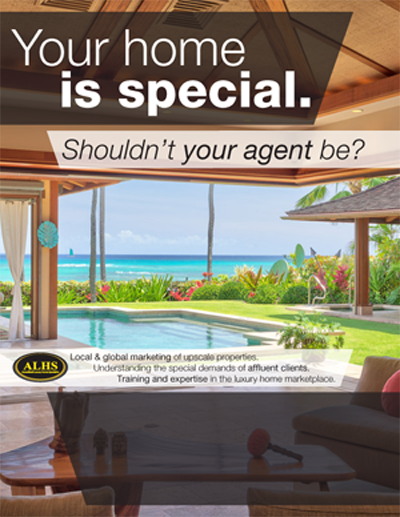 The average listing price for an agent with the Accredited Luxury Home Specialist (ALHS) designation is $1,023,800 nearly five times the median price of all U.S. homes during the same period. The average annual closed sales volume for an ALHS Designee is over seven times the sales volume of a typical real estate agent. 81% of current luxury home specialists report that their number one method for coming into contact with affluent clients for the first time is through a referral or recommendation. 38% of luxury home specialists point out that their most effective marketing technique is social marketing or reaching out to their network, partners and colleagues.